I love freckles on kids, but not so much on bananas ...unless I'm in the mood for banana bread. For eating out of hand ...or sliced on yogurt or cereal ...or cut up in a fruit salad, I absolutely require frecklefree bananas that are still firm and faintly green. Picky, picky, I know. Soft bananas with brown spots are peeled and dispatched to the freezer, waiting to join the party in a blender for a morning smoothie, or maybe turn into The Best? Banana Bread from a recipe found online at epicurious. Our recent spurt of hot weather hurried three small bananas along on a rapid ripening journey from almost-ready to oops! soft-and-spotted status. 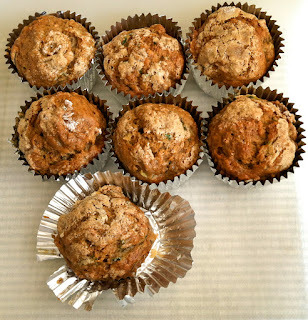 Three small bananas aren't sufficient for a full loaf of banana bread and the freezer already held an ample supply of frozen over-ripe fruit, so today I opted to make muffins, adapting the Zucchini Banana Bread recipe found at Two Peas and Their Pod. The basic recipe is quite tasty, but why stop there? 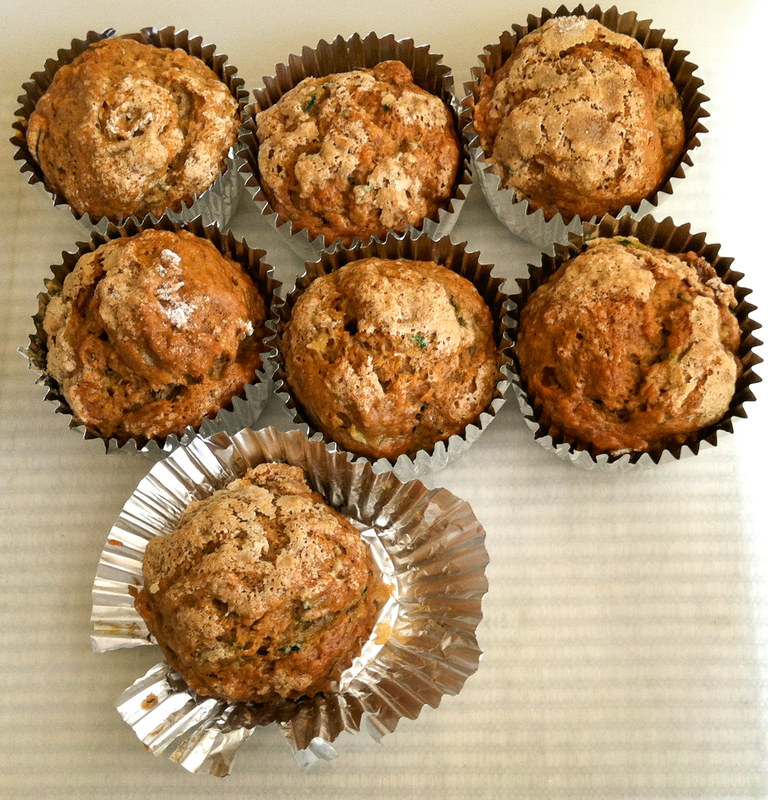 You can produce amazingly different muffins, depending on which optional add-ins or flavorings you select. Go for it! Have fun and play around with the recipe. Sometimes those full-flavored, soft and spotted bananas are a good thing. Place an oven rack in the center of the oven and preheat to 350 degrees F. Line muffin pan with liners or grease each cup. Sift or whisk together the dry ingredients in a medium bowl. Add the wet ingredients to a large bowl; stir to combine, being careful to keep the banana chunks intact. Add the dry mixture to the wet mixture; fold gently with a rubber spatula until flour is incorporated. Add any optional items if using. Use a scoop or ladle to fill the muffin cups 3/4 full. 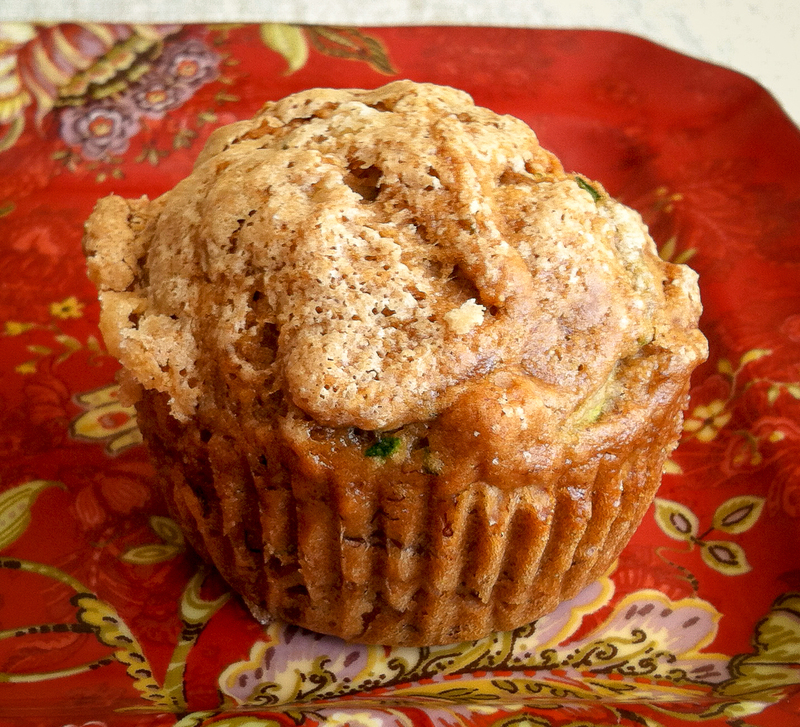 Place in oven and bake for 22-25 minutes, or until a toothpick inserted into the center of a muffin comes out clean. ...an amazing topping for salmon, chicken, roasted vegetables, fresh strawberries and more! 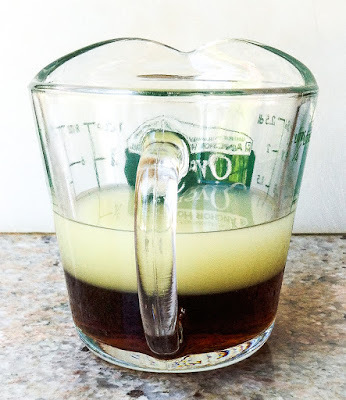 Balsamic vinegar is a ubiquitous kitchen staple, especially the affordable, supermarket condimento grade. But why settle for using it straight from the bottle? This recipe for a balsamic glaze adds a touch of maple and citrus, concentrating the flavors of an already complex, sweet/sour treat. 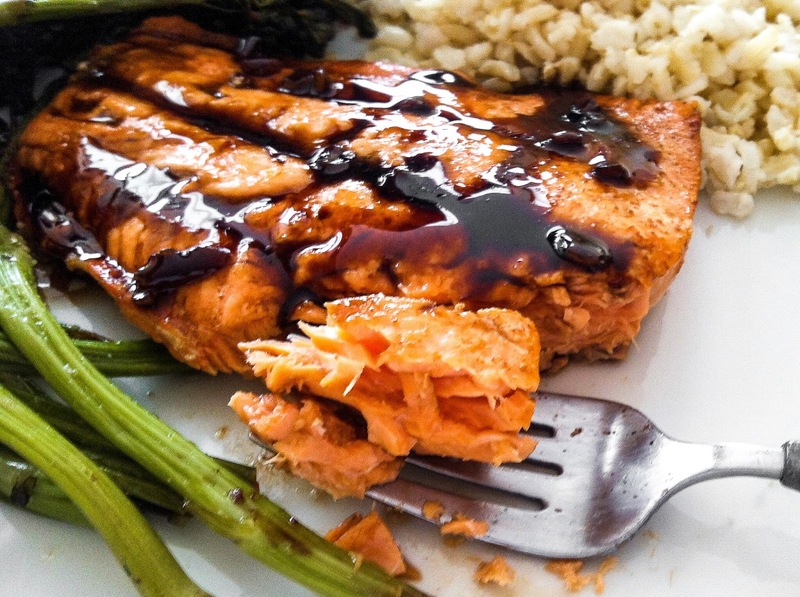 While definitely not the authentic Modena or Reggio Emilia balsamic reduction, not barrel-aged for 12 to 25 years, the glaze does rate high marks for versatile deliciousness. And as a bonus, it only takes minutes to prepare. 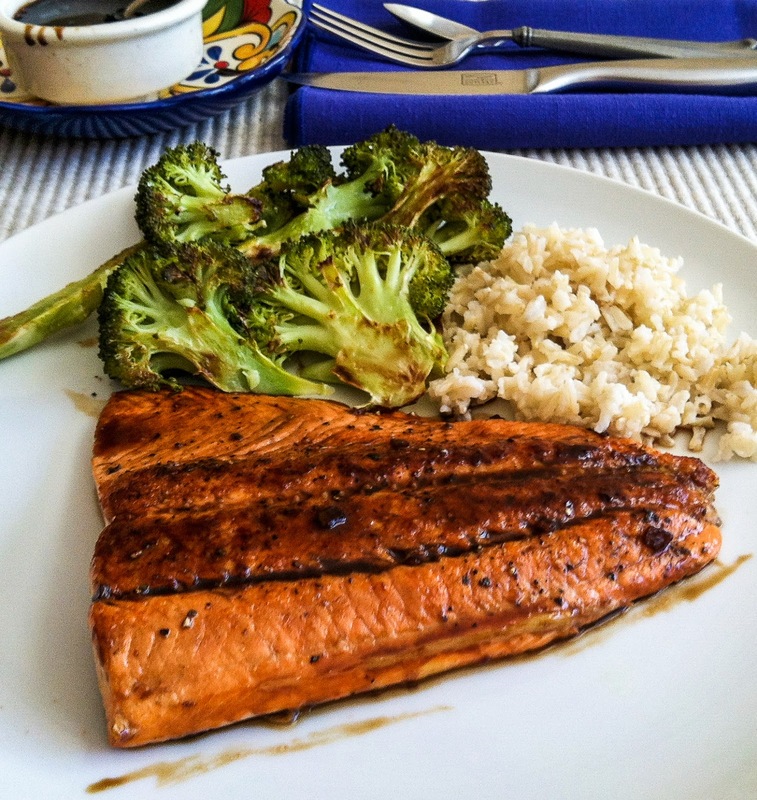 Recently the glaze was popular brushed on salmon fillets and drizzled atop grilled nectarine halves. Quick, easy and incredibly flavorful, this Balsamic Glaze with Maple and Lemon is a winner! Combine the first 4 ingredients (lemon juice through garlic) in a small, heavy bottomed saucepan and bring to a boil over medium high heat. Do NOT let it foam up and boil over. Lower the heat enough to maintain a bubbling simmer and cook to reduce for roughly 6-8 minutes, stirring occasionally. Remove from the heat. As it cools the liquid will thicken; thick enough to coat the back of a spoon. Not thick enough? give it a few more minutes on the heat. Stir in the olive oil and you're ready to go. Grill or broil a salmon fillet or steak, brushing occasionally with the glaze as you cook. Avoid flareups! 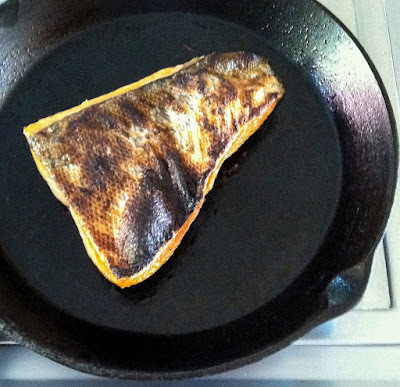 OR use as a finishing glaze immediately after you pull the fish from the grill or skillet. This should hold for several weeks in the fridge, but it never lasts that long in my galley. 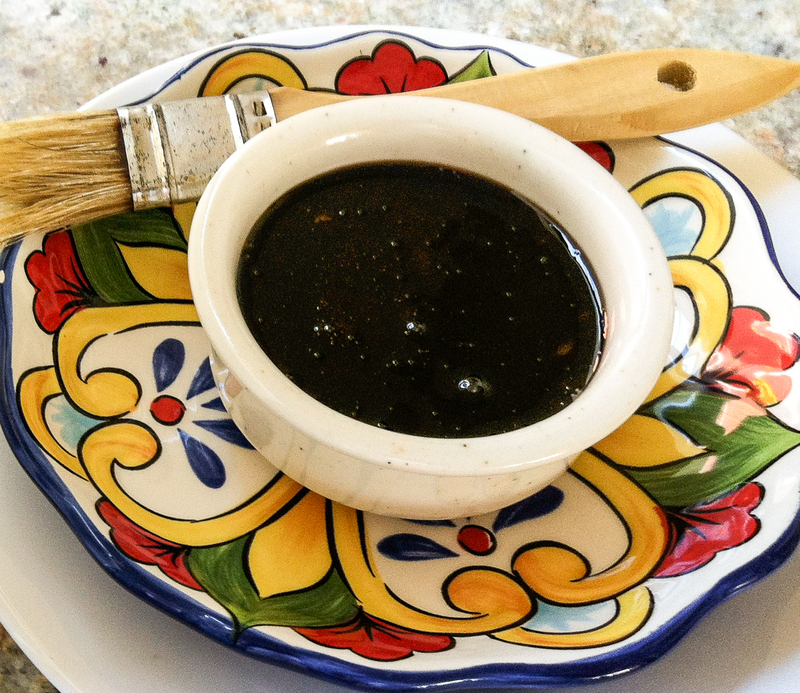 See also the recipe and steps for my Balsamic Reduction.